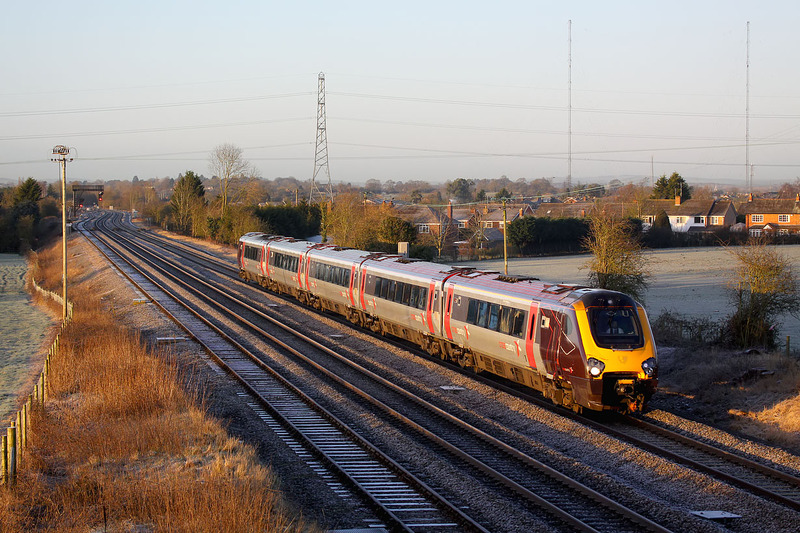 Not long after sunrise on 12 February 2018, 221121 passes Stoke Prior with the 1M21 07:00 Bristol Temple Meads to Manchester Piccadilly CrossCountry service. This is definitely the kind of location you need for photography in these conditions, with nothing anywhere on the lineside (or in the adjacent field!) that will cast a shadow.